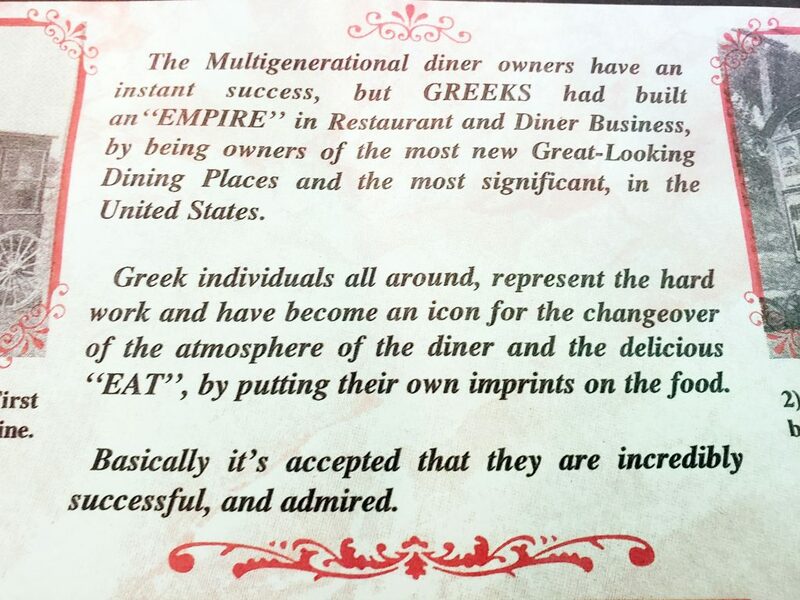 The Multigenerational diner owners have an instant success, but GREEKS had	built an “EMPIRE” in Restaurant and Diner Business, by being owners of the most new Great-looking Dining Places and the most significant, in the United States. Greek individuals all around, represent the hard work and have become an icon for the changeover of the atmosphere of the diner and the delicious “EAT”, by putting their own imprints on the food. Basically it’s accepted that they are incredibly successful, and admired. Next Next post: PRAYER ROOM IS ON THE FLOOR FOR !! !